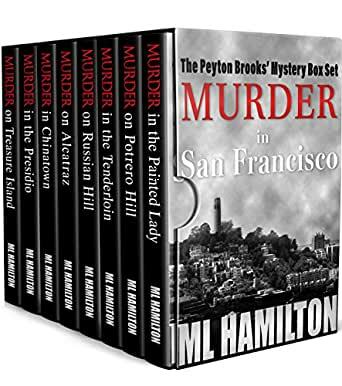 Get all eight of the popular Peyton Brooks’ Mysteries in a single box set, including the prequel, Murder in the Painted Lady. 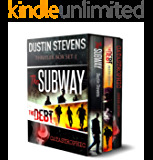 Over 1,000 pages of action and adventure from San Francisco’s top detective. Books included in this compilation are: Murder in the Painted Lady, Murder on Potrero Hill, Murder in the Tenderloin, Murder on Russian Hill, Murder on Alcatraz, Murder in Chinatown, Murder in the Presidio and Murder on Treasure Island. What a wonderful surprise to buy this Peyton Brooks boxed set and find that it was so engossing and enjoyable. 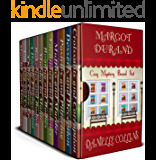 The characters are so believable and engaging and the storylines are excellent. This author is such a 'find' and I have just bought the next Peyton boxed set. I can highly recommend M L Hamilton's books from Amazon. 5.0 out of 5 starsGreat reading right from book one. Good range of characters, with excellent interaction between them. Especially good read if you have ever been to Fan Francisco. Hard to pause, and believable story lines. Thoroughly enjoyed all the books. This had an interesting story line and the characters continued throughout the books. I enjoy crime & investigation stories and found this series to meet my needs. I took a chance on the box set and sofar, I am pleasantly surprised. Simple plot lines well presented and good holiday reading. Very well written. Great characters. Fantastic storyline. Almost at the end of the series, wish it would go on longer. 3.0 out of 5 starsEasy read. A crime whodunit series about cops in San Francisco.A bit repetitive on characters etc but a light crime read. i enjoyed the series with the diverse characters and the humor. Liked the fact you could get a laugh whilst following the cases.